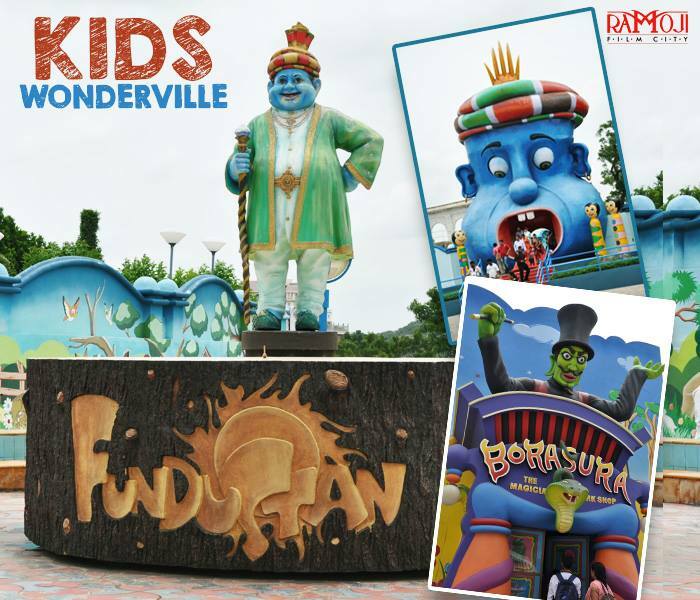 Fundustan is an ideal fun place in Hyderabad for Kids and parents. The games are designed in such a way that, tiny tot’s mind constantly focus on their imagination, movement, art and socialization. 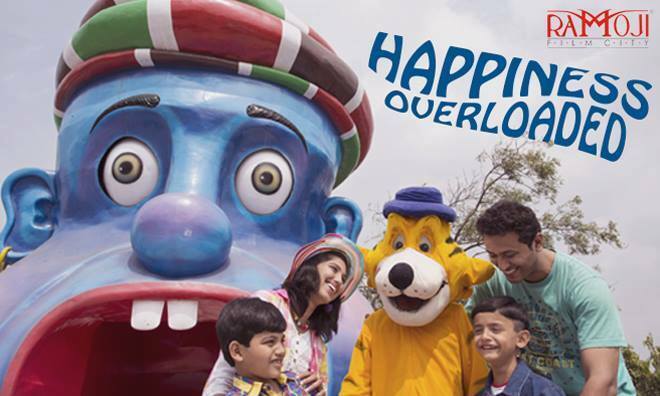 Experience the intensity of fun, excitement, thrill & joy in the world of fun games at Kids Park. It is a perfect fun place to play, learn & have joy. You can play the entire day with widespread games of discovering the hidden wonders in every nook & corner of Fundustan. 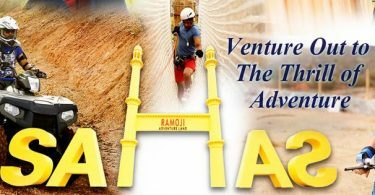 Try out these top 5 fun activities, the next time you head out with your kids to The World’s Largest Ramoji Film City! Dadajinn’s Live TV Show is the most enjoyable live entertainment show at Dome Theatre. Dadajinn loves playing cricket & entertain kids with his various dance styles. Dadajinn is a great fighter too & proves his fighting skills by bashing the villains of Borasura black & blue! So never attempt to miss watching the Live Funny Show of Dadajinn. Enter Asia’s first interactive walkthrough of the scare – the evil magician’s workshop. Experience some “Spine-chilling paranormal phenomenon spread across the 7,200 sq. ft. maze of mystery. 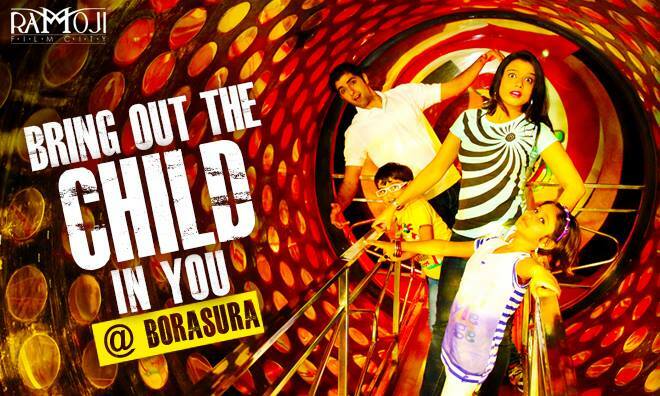 Be aware of your footsteps, as mysterious suspense are hidden in every inch of Borasura. Snakes and Ladders is an ancient Indian board game regarded today as a worldwide classic. Have more fun playing the most popular board game in a large size arena. 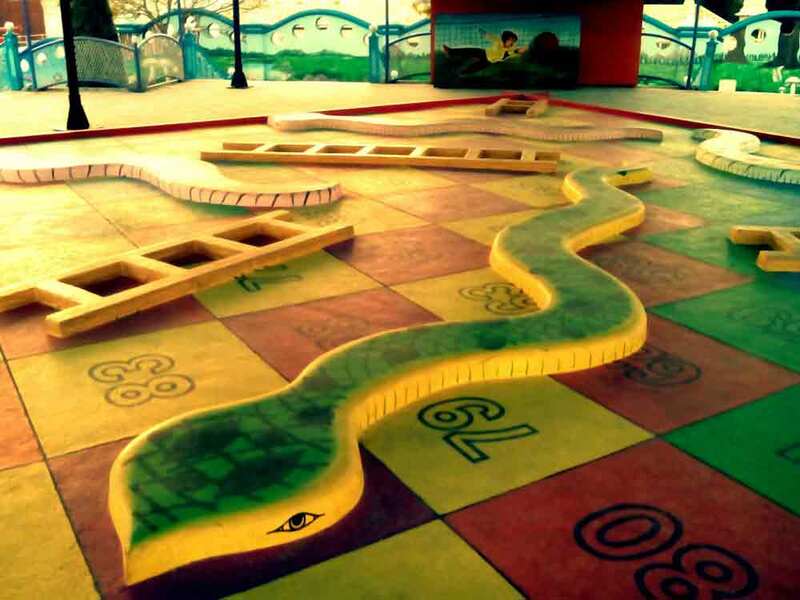 So come along with your family & friends to enjoy crossing over the huge snakes to win. 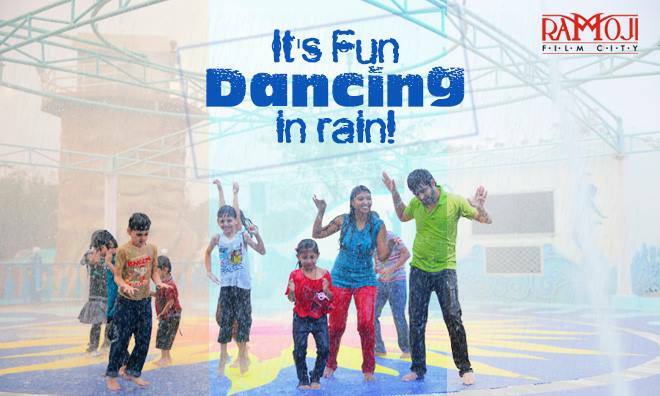 Rain Dance is the best for people of all ages to dance for hours on end, with lots of splashes! Come & chill out with your dancing buddies as we sway to the latest Bollywood beats! 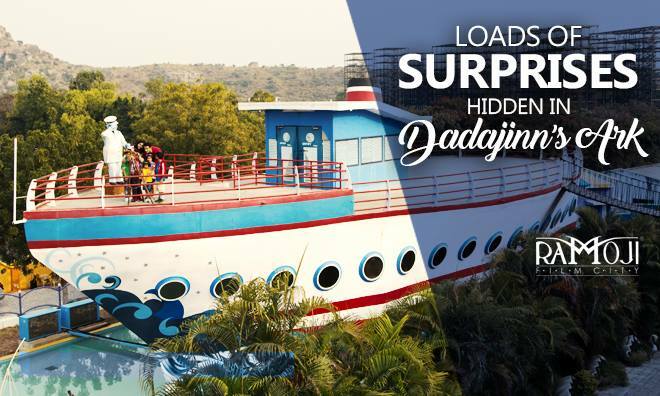 Loads of fun, entertainment & excitement awaits you at Dadajinn’s ark. It is housed with exciting video games & loads of playing gadgets. Kid’s love to explore more on electronic gadgets along with their family & friends. 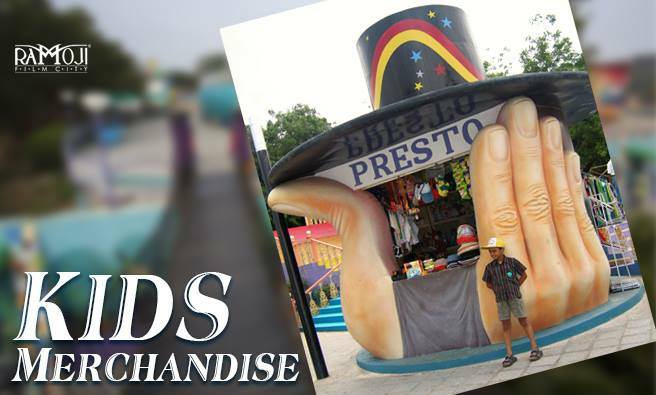 Last but not the least, kids can shop their favourites at Presto. Don’t miss gifting your kid’s favourite merchandise at this magical Toy Shop. 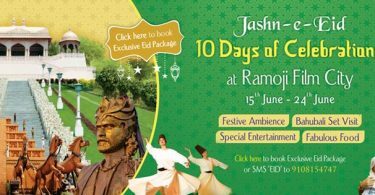 Gift your children the best memorable weekend to Ramoji Film City! Quickly book our exciting Day Tour Packages. Borasura is the best of all.